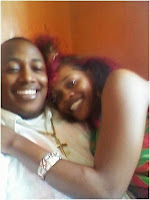 Tuesday, April 16, 2019 - Controversial city pastor, Victor Kanyari, who came to the limelight after he was caught red handed coaching people to give fake testimonies, has refuted claims by his ex-wife, Betty Bayo, that he is a dead beat father. Betty Bayo had claimed in an interview that Kanyari no longer provides for their kids after they parted ways. However, the fake preacher rubbished Bayo’s claims and revealed that he takes full care of his kids. Kanyari revealed that he pays a whooping Ksh 450,000 per term for his kids’ school fees since they are in one of the best schools in the Country. Betty only provides food for the kids. “I take care of my children and pay. She only provides for food which we also help each other sometimes. It costs me sh450,000 every term because they are in one of the best schools,” He said.